This is a matching concho belt and dragger set hand-made in the Northern Plains Style. The belt consists of ten hand-formed conchos, and the dragger is comprised of 14 conchos and a matching belt tip. THIS SET IS UNMOUNTED. 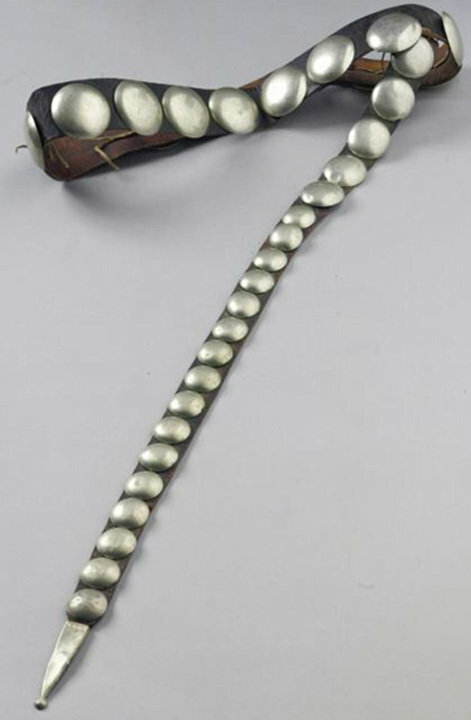 Additional conchos may be ordered separately to make a larger belt. Available in Germansilver only.